You might think all Federal Housing Administration lenders are the same. But even when you’re looking for an FHA loan, it’s always smart to shop at least three lenders. Their mortgage rates, fees and other costs to borrow can vary substantially. Remember, the lender you choose will affect how fast you can close, how much you pay and, ultimately, whether you can buy the home you want. NerdWallet has picked some of the best FHA lenders in a variety of categories so you can quickly determine which one is right for you. Ideal for first-time home buyers or credit-challenged borrowers who may have trouble qualifying for a mortgage. Ideal for FHA borrowers who like online convenience. 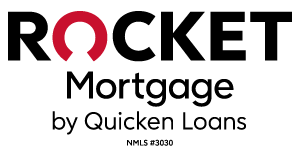 Quicken is the largest FHA lender in the nation and a mortgage-technology leader. Ideal for anyone who appreciates smartphone app service, support and time savings. A fully digital home loan experience with a large variety of mortgage products. Ideal for home buyers and refinancers who want an FHA mortgage and need to be evaluated using nontraditional credit criteria. Ideal for borrowers looking for help with closing costs: PrimeLending's proprietary program, NeighborhoodEdge, helps qualified low- to moderate-income borrowers with up to $2,000 in closing cost credits (certain restrictions are based on income and location). Ideal for borrowers with a relatively high credit score who may need down payment assistance or help from a state housing agency. Ideal for borrowers with nontraditional credit. FHA mortgages from CitiMortgage feature low down payment options and flexible financial requirements so it's easier for first-time borrowers to obtain a home loan. Ideal for FHA borrowers who appreciate face-to-face service. Flagstar embraces FHA-backed mortgages, well suited for borrowers looking to qualify with rental payments, utility bills and other nontraditional credit sources. Ideal for military personnel and their families. 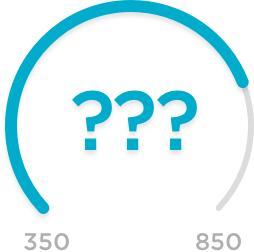 FHA mortgages from Navy Federal Credit Union include alternative credit scoring so it's easier for first-time borrowers to obtain a home loan. Ideal for borrowers who value a traditional bank with high-tech tools. Bank of America's Home Loan Navigator allows you to track the lending process online and upload paperwork digitally. NerdWallet’s selection of mortgage lenders for inclusion here was made based on our evaluation of the products and services that lenders offer to consumers who are actively shopping for the best mortgage. The six key areas we evaluated include the loan types and loan products offered, online capabilities, online mortgage rate information, customer service and the number of complaints filed with the Consumer Financial Protection Bureau as a percentage of loans issued. We also awarded lenders up to one bonus star for a unique program or borrower focus that set them apart from other lenders. To ensure consistency, our ratings are reviewed by multiple people on the NerdWallet Mortgages team.